The ACT Government has again rejected calls for anti-consorting laws after the latest bikie shooting in Canberra’s south, saying it will press ahead with legislation for firearm prevention orders and greater crime scene powers. 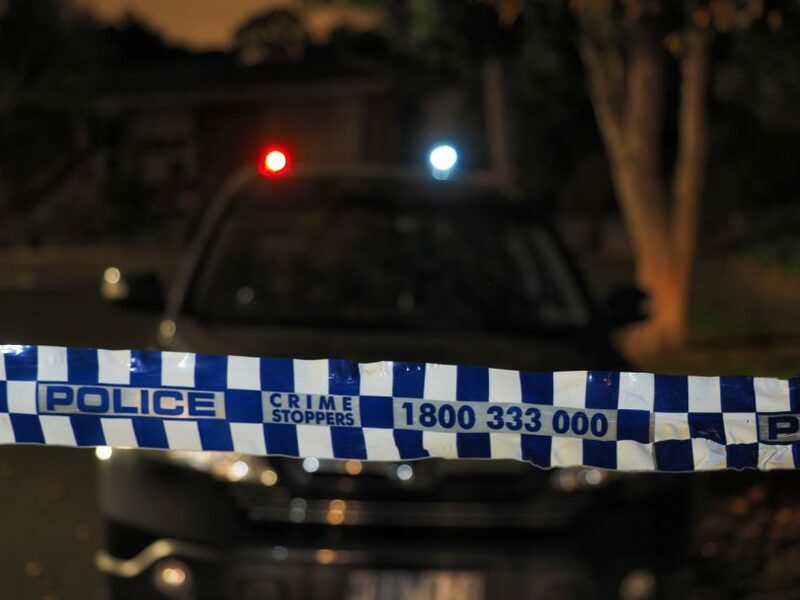 Last night a man linked to the Nomads Outlaw Motorcycle Gang (OMCG) was taken to Canberra Hospital after suffering gunshot wounds to his legs in an incident in Kambah. ACT Policing said Taskforce Nemesis detectives were investigating the incident that occurred in Pinkerton Circuit last night (Wednesday, 14 September 2017) about 10.15 pm when a group of men forced their way into a residence and shots were fired. The man was assaulted and shot in his legs in the presence of a woman and a young child, before the group fled the area in a number of vehicles. Minister for Police and Emergency Services Mick Gentleman said anti-consorting laws had not worked in NSW where the most vulnerable members of society had been affected and the NSW Ombudsman had called for their repeal. He said the Government hoped to have legislation ready by the end of the year to provide police with the tools on the ground to combat OMCG activity. He said the extra resources already given to police were making an impact and they were making progress in their investigations. But shadow attorney-general Jeremy Hanson said it was just a matter of time before someone is killed or more people are injured if the Government failed to act. He will table revised anti-consorting laws in the Assembly in the coming weeks. “Outlaw bikie violence is unfolding in our suburbs with shootings, assaults and bombings and yet the ACT Government refuses to introduce anti-consorting laws,” he said. Acting Superintendent of Criminal Investigations Matt Reynolds said violent acts such as this would not be tolerated in the ACT. He would not say what kind of firearm was used but AFP Forensic Services had scoured the scene for evidence. He said police were making progress in investigating OMCG violence in Canberra but no arrests had been made at this stage. Acting Superintendent Reynolds said in response to questions from journalists that tougher laws to deal with the situation was a matter for the ACT Government. But he warned OMCG members that ACT Policing did have the resources to bring offenders to court. ACT Policing is urging anyone who saw any suspicious activity or vehicles driving at speed in Kambah around 10 pm last night, or who has any information or CCTV that could assist police, to contact Crime Stoppers on 1800 333 000 or via its website. Information can be provided anonymously. Please quote reference number 6151592. I suspect nothing will be done until some innocent bystander gets shot, and if they keep spraying 7.62 slugs around the joint it shouldn’t be long. This slug will easily go through a neighbours fence, easily through the neighbours door/window, and easily through the ‘bad luck standing in the wrong place’ neighbour. Perhaps the Feds could protect us. Must be embarrassing to have late night sittings at Parly house with the sound of machine guns out in the burbs. Then perhaps he can explain the influx of OMCGs from the eastern states following their enacting of anti-consorting laws. Wouldn’t have anything to do with bikies seeing ACT as a soft jurisdiction, would it? You tell ’em, Acting Superintendent. I don’t really mean to be facetious but these incidents, and the subsequent statement by a police spokesman to the effect that violent acts will not be tolerated, are becoming almost a weekly occurrence,. Mind you, it isn’t Reynolds’ fault that the government stubbornly refuses to enact the anti-consorting laws. Remember that noise Pac-Man made when he got caught? Will stronger anti-consorting laws disrupt Canberra bikie gangs?